The Trailer and Key Art for Brie Larson’s Unicorn Store! 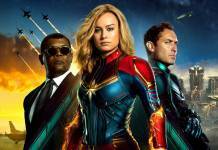 Watch the Captain Marvel World Premiere Live Stream! Experience the Official 1990s Captain Marvel Website!